Exposé reveals some of the biggest names in the Indian media agreeing to business proposal by undercover reporter seeking promotion of Hindutva agenda and influencing of electoral outcome for a price. The story has been updated with responses from Lokmat, the India Today group, the Times of India group, Kannada Prabha and Suvarna News and the New Indian Express. New Delhi: Nearly two months after Cobrapost first reported how some media houses were prepared to strike business deals to promote the Hindutva agenda and help polarise voters in the run up to the 2019 elections, the website has released a second batch of video recordings shot surreptitiously by an undercover reporter that shows managers and owners of some of the largest newspapers and TV channels succumbing to the same package of Hindutva advertorials. Cobrapost said on Friday that the recordings it made showed how some two dozen news organisations were willing to “not only cause communal disharmony among the citizens but also tilt the electoral outcome in favour of a particular party” for a price. The only two media houses whose representatives refused the undercover reporter’s proposals were the Bengali newspapers Bartaman and Dainik Sambad. 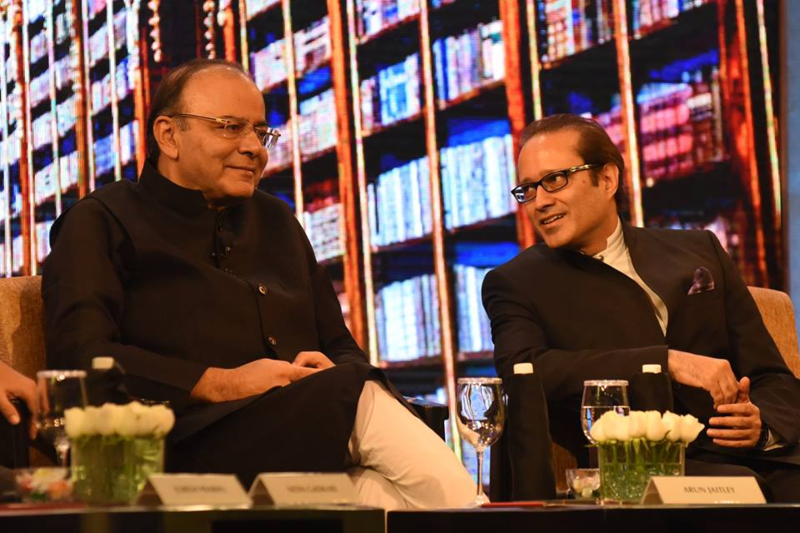 In what is likely to alarm the finance ministry and the income tax department, several of the media houses – including, in some cases, proprietors like Vineet Jain of the Times Group – have been recorded discussing ways in which proposed transactions running into hundreds of crores of rupees could be conducted using cash, i.e. black money. The Times Group owns the Times Now channel, the Times of India and several other media platforms. The ease with which Jain discusses ways in which the undercover reporter could pay the company using black money by routing those payments through other business houses and families is hard to reconcile with Times Now’s campaigns in favour of demonetisation – which Prime Minister Narendra Modi had said was needed in order to deal with black money. For the sting, an undercover journalist, Pushp Sharma, posed as “Acharya Atal”, a man who identified himself as a representative of an unnamed “sangathan”, or organisation, but who gave the impression that he was a member of or close to the Nagpur-based Rashtriya Swayamsewak Sangh (RSS). In the recordings the website put up on YouTube on Friday afternoon, Acharya Atal can be heard trying to strike deals with media house executives involving the promotion of a Hindutva agenda through advertorials – paid-for content – that would run on their newspapers, radio stations, TV channels and websites. The biggest name to be stung by Cobrapost was Times Group owner and managing director Vineet Jain. In a number of videotaped conversations, Jain and the group’s executive president, Sanjeev Shah, can be seen and heard discussing the proposed deal in which Acharya Atal said he would pay Rs 500 crore in exchange for advertorials and events that that would be presented as programming on Krishna and the Bhagvad Gita but which would serve as a cover for Hindutva and its political agenda. In one of the meetings, Jain and Shah offer guidance to the undercover journalist on how to make payments in cash even though they said the Times group itself had no use for cash. “We found them naming some big corporate houses which could help make black money squeaky clean,” Cobrapost said. Incidentally, Rs 500 crore is equal to a little more than 5% of the total revenue of Rs 9,976 crore that the Times group earned in 2017. Kataria also said his company was aware of the “nefarious” activity of the Cobrapost reporter and that its senior functionaries had actually strung him along as part of a “reverse sting” in an effort to “reel him in”. In his meeting with Kalli Purie, vice-chairperson of the India Today group, Cobrapost’s undercover journalist spoke about using Krishna and the Bhagvad Gita to promote Hindutva since Ram and Ayodhya had become controversial. He said the ‘sangathan’ would make use of the Krishna messaging the India Today group would put out to promote Hindutva among the wider public as part of its “infield activities”. The reporter also spoke about translating the campaign for his “political gains” and even said that he should not be held accountable later for polarisation. Purie indicated she was agreeable to the idea but added that “if you are doing some infield activities that we don’t agree with editorially, we will be criticising you”. She urged ‘Acharya Atal’ not to resort to polarising activities but when he said the course of the election campaign may not leave him any option, his insistence did not become a deal breaker. Pushp Sharma had earlier met TV Today’s chief revenue officer, Rahul Kumar Shaw, who had conveyed to him his own support for the sangathan’s agenda. “I must tell you, I am very very pro, very pro to the government”. Soon after the meeting with Kalli Purie, Shaw sent an email proposing a Rs 275 crore advertising campaign – an astonishing amount for what was officially going to be described as promotion of the Bhagvad Gita. The value placed on this one campaign alone was 20% of the total revenues earned by the India Today group in 2017. The second and final instalment of the exposé – codenamed Operation 136 – saw a total of 25 media houses “crumble under the weight of a ‘big business opportunity’ that was knocking on their doors without asking,” Cobrapost said. The sting covered a total of 27 organisations of which “almost all bent themselves backward to grab this opportunity,” barring Bartaman and the Dainik Sambad. Apart from the Times of India and India Today groups, the undercover investigation covered Hindustan Times, Dainik Bhaskar, Zee News, Star India, ABP, Dainik Jagran, Radio One, Suvarna News, Red FM, Lokmat, ABN, Andhra Jyothy, TV5, Dinamalar, Big FM, Prabhat Khabar, K News, India Voice, the New Indian Express, MVTV and OPEN magazine. Cobrapost was forced to withhold the recordings and communications it had from its interaction with the Dainik Bhaskar group after the latter managed to obtain an ex-parte injunction from the Dehi high court. The website has said it will challenge the injunction. Another big media house, the Hindustan Times, also found the undercover reporter’s proposal attractive with the group’s executives offering “editorial support” to ‘Acharya Atal’ for his activities as part of an advertising package. Bansal: Doosri cheez kya hai, you should find a PR company of repute which has inroads in the top market, right, and they can control the reporters, kyonki they are the source of news. Bansal then differentiates between reporters who have a fire inside them and other reporters who are “light minded and who are not working for professional desire but monetary desire” and says the PR company will work through them. The pitch made by the reporter in his meetings with management personnel and owners of media houses was similar: he wanted them to run a media campaign on his behalf promoting Hindutva, offering them an ad spend ranging from a few crore rupees to Rs 500 crore in the case of the Times group. The reporter’s modus operandi in dealing with large media houses was to dangle his bait before junior executives, who then led him higher and higher up the corporate food chain. In the final stage, Pushp Sharma tried to meet with the owner directly in order to establish what he said was an “emotional connect” that would convince the ‘sangathan’ that the media house genuinely believed in the goals of the Hindutva campaign and was not simply engaging in a transactional relationship. The “essential ingredients” or the deal were “spread wide before them” at the outset and repeated in each meeting. The agenda included promoting Hindutva in the initial phase of three months through customised religious programmes to create a congenial atmosphere. Then the campaign was to be “geared up to mobilise the electorate on communal lines by promoting speeches of Hindutva hardliners, the likes of Vinay Katiyar, Uma Bharti and Mohan Bhagwat, among others,” said Cobrapost. Finally, as elections approach, the campaign would move to “target opposition leaders, namely, Rahul Gandhi, Mayawati and Akhilesh Yadav, caricaturing them using less than dignified language like Pappu, Bua and Babua, respectively, for them, in order to show them in poor light before the electorate.” The arrangement included running the campaign on all platforms – print, electronic, radio or digital including, e-news portals, web sites and social media such as Facebook and Twitter. In his meeting with Kalli Purie, ‘Acharya Atal’ insisted the campaign also run in Cosmopolitan, the group’s fashion magazine. Operation 136, Cobrapost editor Aniruddha Bahal said, also revealed that most of the media houses are either owned by politicians themselves, particularly the regional ones, or patronised by politicians, and therefore it was natural for them to become their masters’ voice. “Crony journalism and the search for revenue made for a lethal cocktail”, he said. Stating that this connect went beyond the TDP, to include the BJP and other outfits, it said Seshidhar even went on to state that their newspaper Andhra Jyothy holds so much sway that they could influence the outcome of the Karnataka elections. 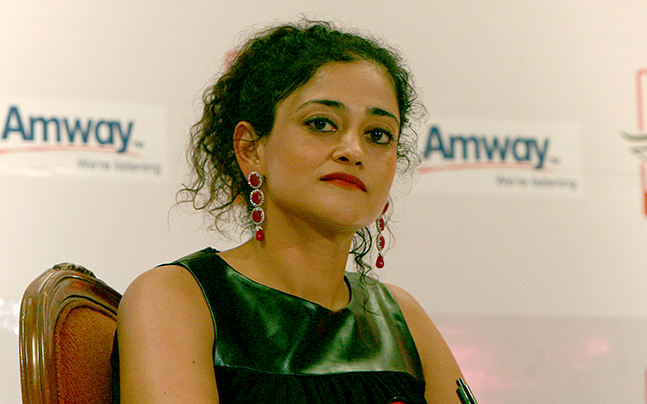 Cobrapost said that it not only approached those whose job it was to negotiate deals and bring business to the organisation, but also some some senior journalists who have now become owners or CEOs and found them “genuflecting before their big-ticket client” and “happily agreeing to work for his agenda”. In this regard, it made mention of Purushottam Vaishnav, who is now CEO regional news channels at Zee Media, saying he agreed to “run down political rivals by unleashing their SIT ([investigative team] on them”. “Content mein jo aapki taraf se input aayega wo absorb ho jayega … humare taraf se jo content generate hoga investigative journalism hum log karte hain karwa denge jitna hum logon ne kiya hai utna kisi ne nahi kiya hoga wo hum log karenge (Whatever input you will send in the form of content that will be absorbed … the content we will generate … we have been doing investigative journalism, we will do it for you. [Compared to Zee] none of the channels has done so many … we will do that),” it quoted Vaishnav as saying. Cobrapost also claimed that its investigation established that the RSS, and as a corollary, its ideology of Hindutva, have made deep inroads into the newsrooms and boardrooms of Indian media houses where even owners either blatantly admit their allegiance to the party in power and its parent organisation or are eager to have an association with them. Cobrapost said of all the interviews that the journalist had with the owners and personnel of various media houses in the course of its investigation, the one with BJP legislator from Belapur, Pune, Manda Tai, who is also the owner of a local channel of Pune, MVTV, stood out. Cobrapost said while such open confessions could be brushed aside as “personal opinions”, given the position Tai held in the organisation, they “cannot be taken lightly”. 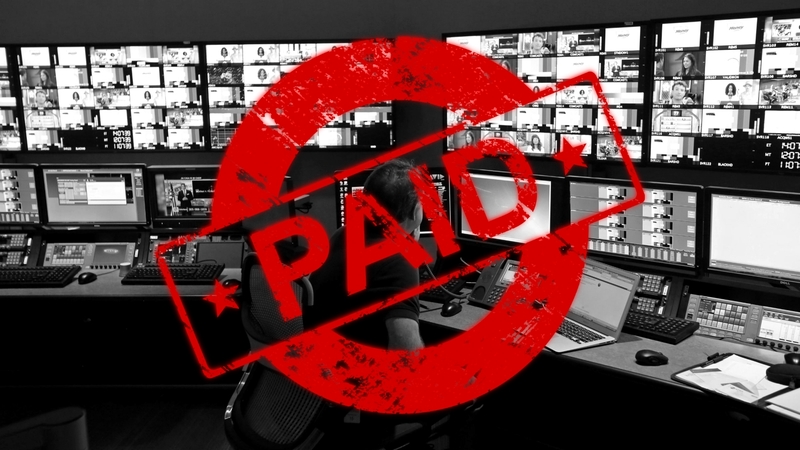 At the time of its first ‘cash for coverage’ expose in March, Cobrapost had revealed how it had surreptitiously filmed the interaction its reporter had over several months with top executives at dozens of leading newspapers and television channels across north India. Part I of ‘Operation 136’ – which derived its name from the rank India got in the World Press Freedom Index of 2017 – had reproduced excerpts of interactions Cobrapost’s undercover journalist had with 17 organisations including with India TV, which belongs to Rajat Sharma, an editor known to be close to Prime Minister Narendra Modi, India’s largest Hindi newspaper Dainik Jagran, local Uttar Pradesh channel Hindi Khabar, the entertainment and news television company SAB Group, the English newsaper DNA (Daily News and Analysis) which is owned by Zee and Dainik Bhaskar, Amar Ujala, the news agency UNI, the entertainment channel 9X Tashan, the UP news channel Samachar Plus, the Uttarakhand channel HNN 24×7, the Hindi newspapers Punjab Kesari and Swatantra Bharat, web portals ScoopWhoop and Rediff.com, IndiaWatch, Hindi newspaper Aaj and the influential Lucknow-based news channel, Sadhna Prime News. Among those shown in the interactions were several big names in the media industry, including Pradeep Guha, a former top executive at the Times of India group and now at 9X Tashan. Cobrapost had also uploaded excerpts from the video recordings. The release of the latest tranche of tapes only confirms this ugly truth. The Wire has written to the media houses featured in Cobrapost’s Operation 136 and will update this story with their responses as and when they are received. The India Today Group stands for the highest standards of journalism. The editorial has always worked independent of commercial transactions. The business side of the organization, irrespective of their seniority or personal political and religious leanings, do not influence our editorial coverage in any way, nor is any sales representative of ours authorized to offer editorial coverage. During the sting operation carried out by your undercover reporter, he had conversations with various sales employees of our Group for an advertising campaign. He did not meet anyone from our editorial team. In fact, in the meeting with our senior management, as well as in the advertising proposal sent to the undercover reporter on 16th February 2018, it is clearly mentioned that all the creatives would have to be approved by The India Today Group. Senior management also told your reporter that the Group will not do anything unethical, and that any advertising creative that divides the country on religious or caste lines will not be acceptable, and will not be aired on our channels. The India Today Group has always condemned paid news, and in its 43 years of existence, never indulged in any such practice. Any suggestion to the contrary would be malicious. 1) Cobrapost cannot talk about editorial compromise in TNIE since its interaction was limited to a couple of ad executives and the discussion centred on ad campaigns alone. The voiceover on Mahesh accepting the deal is also wrong. Mahesh was just trying to understand the contours of the arrangement, to enable him to brief his higher-ups. His responses in the form of “ok, ok” or “Hmm” — whether it is about cash component or nature of content — should, therefore, be viewed in that context and not as the deal having been sealed as it is sought to be portrayed. Also, nowhere does the marketing official say that the so-called campaign proposed by the journalist in question will be run in the newspaper as news. It is a clear case of a proposed advertisement campaign and on multiple occasions during the conversation, references have been made only to carrying “advertisements.” To paint it otherwise is being dishonest. In the conversation with the marketing staffer of the digital arm, cash component has not even come up in the conversation. 2 What has also been conveniently buried is the specific point made by the marketing staffer that usage of words (references to Lord Krishna etc) even in the form of an advertisement has to be legally vetted. Therefore, to come to a conclusion that it is a “done deal” is erroneous. 3) It is only natural any marketing staffer will meet a client when a campaign is proposed. However, to infer that it has been accepted, more so when person in question, is not the final authority, is to say the least, jumping the gun. To set the record straight, we have turned down efforts by the Cobra journalist to meet higher-ups including the undersigned following the first conversation with Mahesh, clearly indicating our lack of interest in the proposal. 4) Advertisements of a communal colour or those intended to create communal tension in the society are not accepted in TNIE. It is our stated policy, made clear in our internal communication as well. The same has been reiterated by the undersigned in a communication that was sent out in November last year, and pasted here for your ready reference.